Yesterday, a solar flare set off from the sun, launching a coronal mass ejection (CME) heading toward Earth, and it’s set to make an appearance in our fair skies this Saturday. 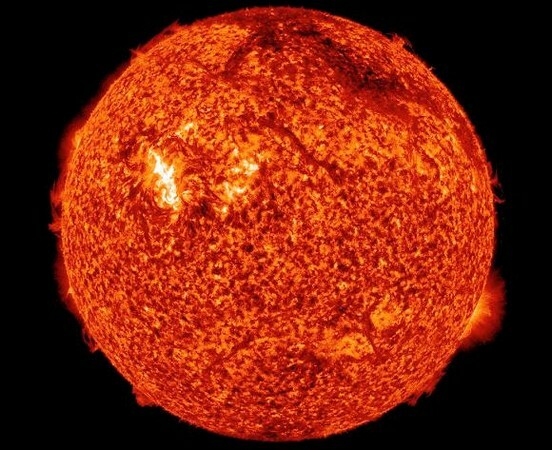 While the wave of charged particles headed our way is much weaker than the most powerful solar flares (like the X28+ gust from 2003), it ranks in the extreme (X) class, and it’s already caused a wave of UV radiation that interfered with radio signals, not to mention an uptake in solar protons swarming around Earth. According to SpaceWeather.com, the flare could cause some geomagnetic storms, which could endanger satellites and astronauts in space in addition to possibly interfering with communication signals. That (relatively minor) risk aside, those of you living up north could be in for a pretty sweet light show, so check the skies for the aurora borealis. ‘Extreme’ class solar flare heading toward Earth, hopefully bringing nothing but auroras originally appeared on Engadget on Fri, 13 Jul 2012 16:57:00 EDT. Please see our terms for use of feeds. Microsoft has this really great habit of publicly tracking the development of all its products. 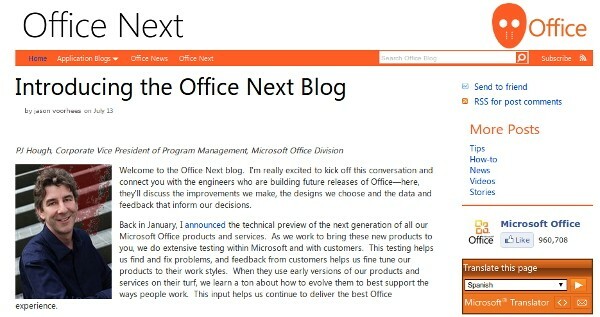 Windows 8 has been thoroughly documented over at the Building Windows 8 blog, and now Office will have its time to shine over at Office Next. The site will give the engineers and developers toiling away in Redmond an outlet to provide updates, discuss design decisions and offer peeks at the new features being baked in. It won’t be just a place full of bullet lists either, PJ Hough, the VP of program management for the Office Division, promised in his inaugural post that the data and feedback that informs their choices will also be shared — telling you not just what, but why. Is there anything new to share right now? Sadly no, but it probably won’t be long before the pages of Engadget are filled with the minutia of Office 15’s development. Office Next blog is here to answer all your burning questions about the future of spreadsheets originally appeared on Engadget on Fri, 13 Jul 2012 16:29:00 EDT. Please see our terms for use of feeds. HP has been fleshing out its Ultrabook lineup as of late, most recently adding the metal-clad Envy Spectre XT to the mix, but the company is also addressing the lower end of the market with its Sleekbook line, announced back in May. Confusingly, these thin-and-light systems look exactly the same as the new Envy-branded Ultrabooks, except that the Sleekbooks are less expensive — namely because for one reason or another they don’t meet Intel’s Ultrabook guidelines. One such notebook, the Envy Sleekbook 6z, stands apart from the Ultrabook fold with an AMD Trinity APU — a spec that helps keep the starting price nice and low at $600. That’s not to say that all of HP’s Sleekbooks ditch Intel processors, but given the choice between and AMD- and Intel-based model we quickly chose the former. After all, the 6z is the first Trinity-powered system we’ve had the chance to test, so we were naturally curious to see how it stacks up against recent Ivy Bridge machines — and we imagine you are, too. So without any further ado, let’s get to it. 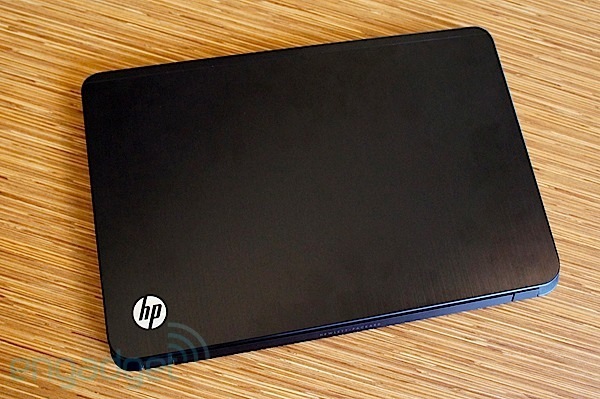 HP Envy Sleekbook 6z review: an inexpensive thin-and-light with AMD innards originally appeared on Engadget on Fri, 13 Jul 2012 16:00:00 EDT. Please see our terms for use of feeds. This entry was posted on July 13, 2012, 5:51 pm and is filed under Mobility. You can follow any responses to this entry through RSS 2.0. Both comments and pings are currently closed.